SKU: RQ72E15/1. 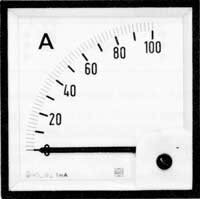 Category: IME A.C. Voltmeter 90 º Scale. Tags: 72X72MM AMMETER 0/15/1A, cos phi, frequency meter, ime, panel mounted meter, panel mounted meters, RQ72E15/1, voltmeter, wattmeter.